I have to say as a filmmaker director Wes Anderson has a pretty good track record in my book. I’ve given the bulk of his movies the grade of an A- or higher on his resume. This even goes back to his 1998 release of the brilliant “Rushmore” wherein a young Jason Schwartzman flames out as a prep school student who for all intents and purposes is an overachiever. 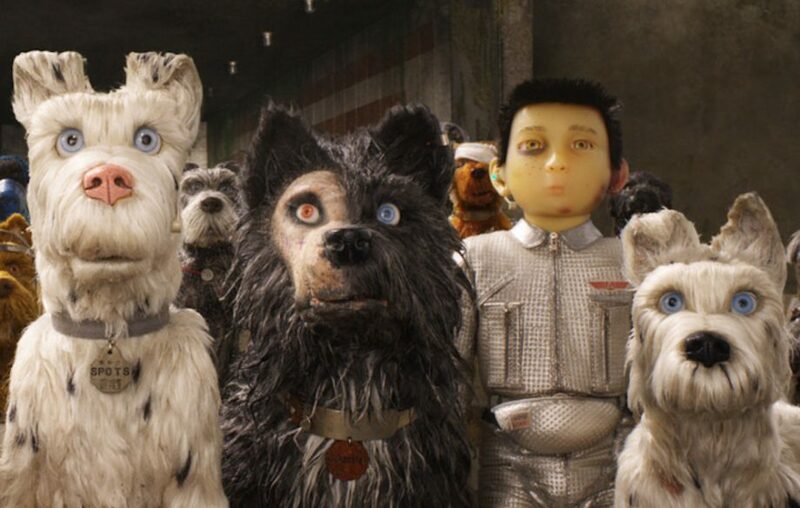 But we’re here to talk about “Isle of Dogs,” Anderson’s latest that involves talking dogs who are discarded on Trash Island, a wasteland of the canine breed that have to fend for themselves on a desolate trash bin. This tale is set in Japan, where the president, Mayor Kaboyashi (Kunichi Nonura) of the nation is a cat lover and not so much the K-9 sect. The device displayed in “Isle of Dogs” utilizes the same stop motion technology that was in awesome “Fantastic Mr. Fox” from 2009. It actually received a couple of Oscar nominations as well, for best animated feature as well as best music for a feature film. In “Isle of Dogs,” it is Bryan Cranston providing the voice of Rex, a dog discarded on the island who was a prominent figure in a higher position of power. He was essentially the guard dog and companion of Atari (Koyo Rankin), the Mayor’s nephew. Also involved in the story are Rex (the voice of Edward Norton, King (Bob Balaban), Boss (Bill Murray) and Duke (Jeff Goldbllum). They are essentially a pack of wild dogs who will protect Atari and Rex at any cost. The mayor has a hidden agenda, so when his staff finds a solution to the dog flu epidemic, he chooses to bury it instead of giving it to the masses and the general public. Funny and amusing are the fights that occur. Viewers are treated to an overhead shot that just contains a mixture of smoke with heavy emphasis on the grunts and growls that occur. As a filmmaker, Anderson, like either coupled of Woody Allen or Whit Stillman has a very exact demographic that he appeals to. For arguments sake, let’s just say it is movie critics and the like. His verbiage and approach to the spoken word is for a very specific demographic, one that does not really hold a mass appeal. The humor is very dry and witty. It contains a nice dose or sarcasm coupled with some keen outlooks on life, in general. That is why I liked it so much. The dialogue is natural, witty and filled with ironic touches. The set up is just a day in the life of these people, nothing more, nothing less. I think back to the 1990’s, wherein “Seinfeld” was a really big hit on TV. It was just a show about nothing. That is kind of the way Wes Anderson looks at life problems and predicaments. I’d recommend this flick, but it really isn’t made for kids, frankly for teenagers and young adults.